With StaphAseptic, it’s summertime and the livin’ really is easy! Win yours today! - Susan Said... WHAT?! With StaphAseptic, it’s summertime and the livin’ really is easy! Win yours today! Summer is the time for swimming and hiking, barbequing and biking. And if you have kids like mine, it’s also the time for injuries! Already this summer, between my neighbor’s three kids and my three, we’ve had a whole host of scrapes bike crashes, bruises from sports camps, swimmer’s ear, infected mosquito bites, one broken wrist, and even a dog bite (not my dog). To combat these injuries (yes, sometimes it looks like we live in a war zone!) and prevent skin infections caused by bacteria such as MRSA, staph and other germs, it’s essential to treat your minor cuts and scrapes. 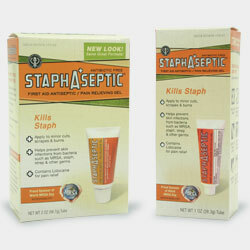 The latest weapon in the McNeill Family Arsenal is StaphAseptic® First Aid Antiseptic / Pain Relieving Gel. 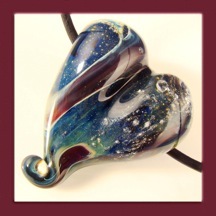 Available in a 2oz. tube or single use packets, this greaseless gel provides soothing wound care without stinging or irritation and contains Lidocaine for effective pain relief (perfect for the little guys). Plus, it’s non-staining (perfect for mom). Why is treating for MRSA, staph and other germs so important? Well, Staphylococcus aureus (staph) are bacteria commonly carried on the skin or in the noses of healthy people. Most of us have heard about potentially deadly staph infections in hospitals and healthcare facilities, but now they are rapidly invading the general population and are easily spread from person to person. StaphAseptic® First Aid Antiseptic / Pain Relieving Gel is available for sale at most major drug stores like CVS, Rite Aid and Walgreens. If you visit the StaphAseptic® First Aid Antiseptic / Pain Relieving Gel website you can even access a clickable $1 off coupon! Better yet, win a full-sized tube of StaphAseptic® First Aid Antiseptic / Pain Relieving Gel right here! It’s easy! Winner will be announced on August 6. Good luck! Great Giveaway! Ageless Derma Neck Lift and Firming Cream for a younger looking you! Separator image Posted in WOMEN'S HEALTH & BEAUTY and tagged with health healthcare, infection, injury, medical, medicine, MRSA, staph, Staph Aseptic, wound care. Gotta have it! Thanks for the giveaway!